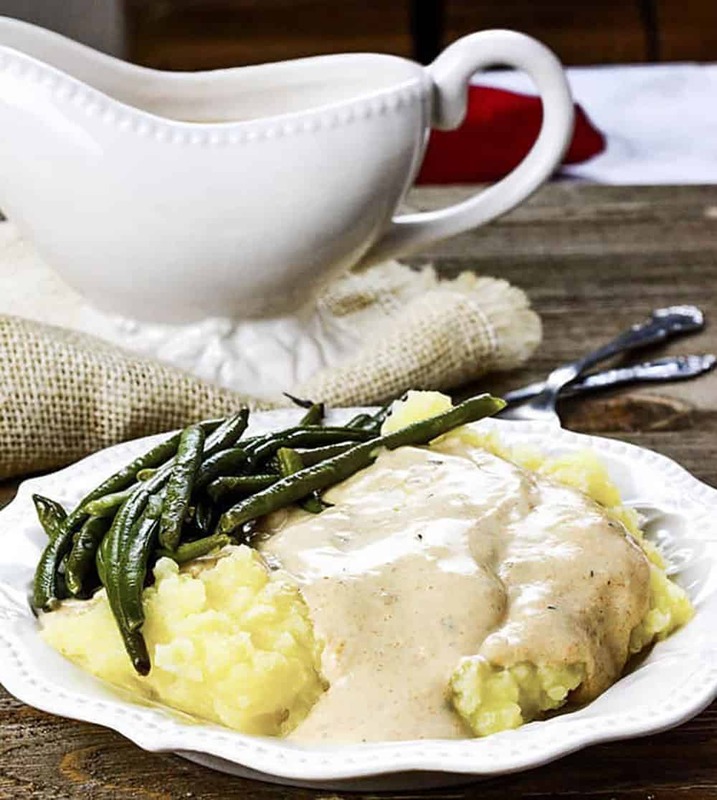 This vegan gravy recipe is so flavorful and creamy made with aromatic herbs and spices, perfect for over mashed potatoes, baked tofu, or your holiday table! 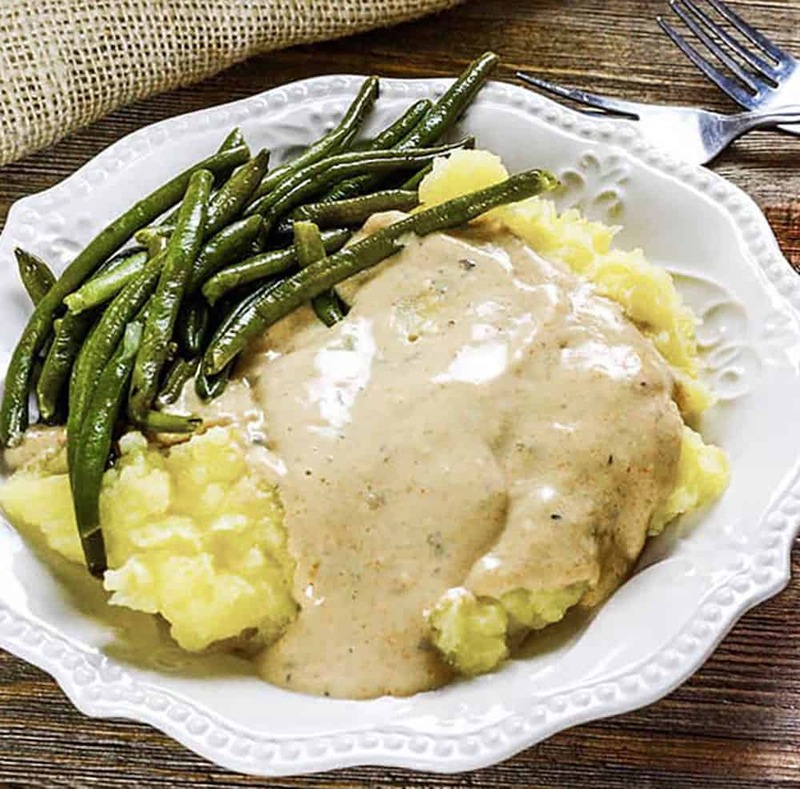 This is absolutely best tasting vegan gravy ever! It is very easy to make and your family and friends will be amazed by how delicious it tastes when you serve it. I recently made this vegan gravy recipe for my cooking class and the class members were going crazy over my recipe. It is so easy to prepare, it is similar to the recipe in my Lentil Meatballs and my Smothered Tofu Chicken recipes. All you do is blend all the ingredients except the dried herbs and thicken on the stove, so easy but yet so yummy! 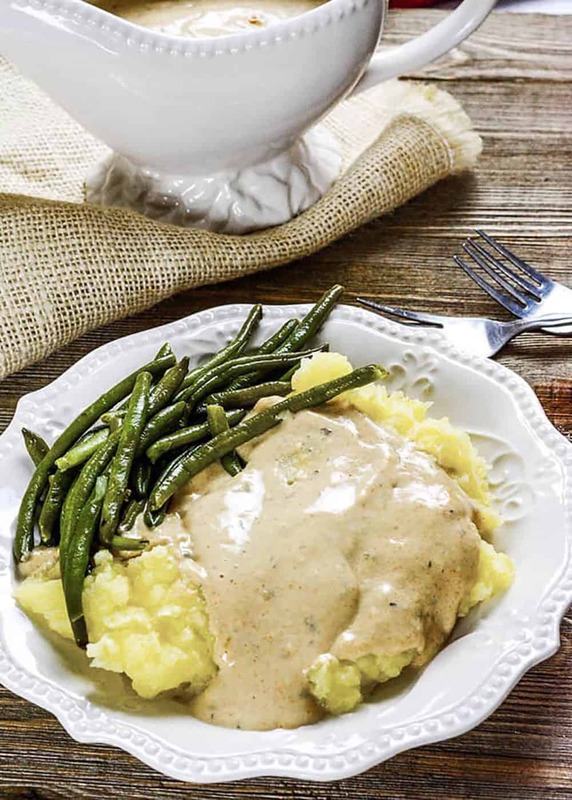 This gravy is perfect to serve with you vegan loaf, mashed potatoes, and biscuit and gravy. Check out my favorite HOLIDAY RECIPES HERE! 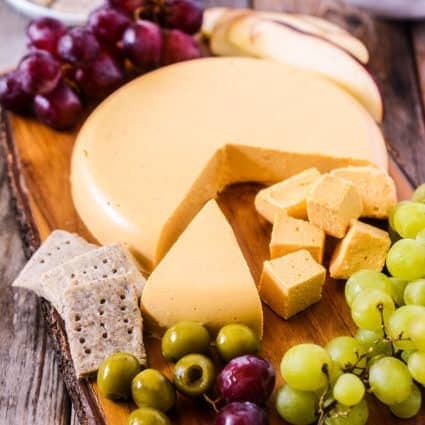 I used cashews for a creamy flavor, nutritional yeast flakes give a lovely flavor also and the Bragg's liquid aminos adds great flavor to the vegan gravy recipe. I have been making this gravy for many years and it has never failed me, it is always popular even among meat-eaters. Combine cashews, water/vegetable broth, Bragg's liquid aminos, yeast flakes, onion powder, garlic, cornstarch in a high-speed blender and process until smooth. Pour sauce into a saucepan and add thyme, Italian seasonings, paprika, cayenne pepper. Heat on medium-high, stirring constantly with a wire whisk until gravy thickens and is bubbly. I didn’t have time to soak the cashews, so I used a half cup of besan/chickpea flour instead. That worked great, probably a little too well. Next time I will probably cut that back by a couple of tablespoons. Also, I used arrowroot powder instead of cornstarch. Instead of the Bragg’s, I used about a tablespoon and a half of Vegetarian Express’ Rich Brown Gravy Mix. I used smoked paprika, and about four or five pinches of cayenne pepper. In other words, I just dumped. The extra kick was wonderful! Debi, I’m happy it worked for you with your adjustments. Anita thank you for your feedback, I’m happy that you and your family love it. Do I have to use aminos? No soy sauce or tamari is fine. I will update the recipe to include them. 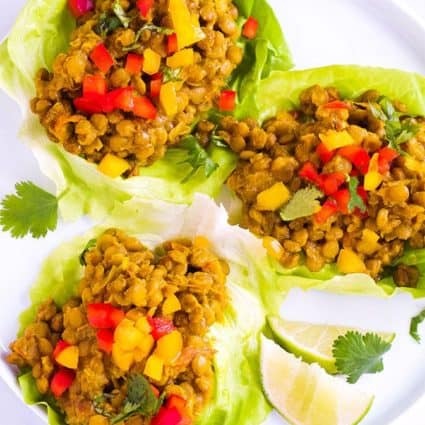 Your receipes are so simple for someone who is a beginner vegan. Thank you Susan, I have been vegan for 20 years and I’m just sharing the meals I cook at home. I love to cook simple, when I’m in the kitchen I’m always in a mode of I have to hurry and get out so I always cook easy meals. 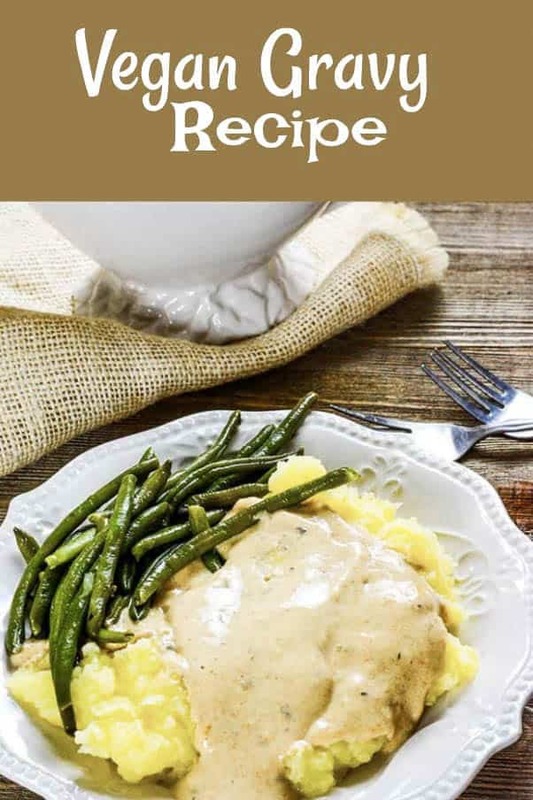 I think this is the very best vegan gravy I’ve ever tried! I used Butler Chik-Style Seasoning to make broth. I’ve made it several times and it’s always delicious! Thank you Dee, so happy you love it. I’m going to have to get some Chik-Style seasoning. 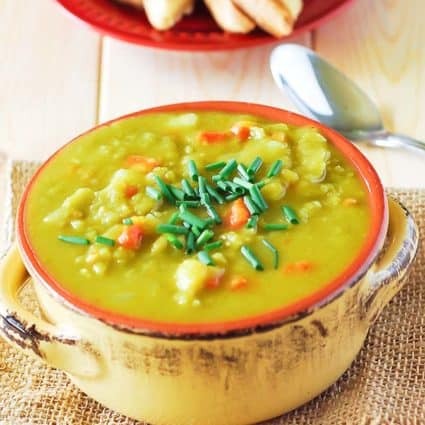 Going to post my Instant Pot Lentil Soup, I can bet it would taste amazing with the Chik-Style Seasoning! Tried this with broth prepared with a veggie bullion. It was too salty with the braggs so I had to add some soy milk and add more starch. Next time I will make it with sodium free broth. Pretty good taste.